Summer School Classes and Private Tutoring Sessions! 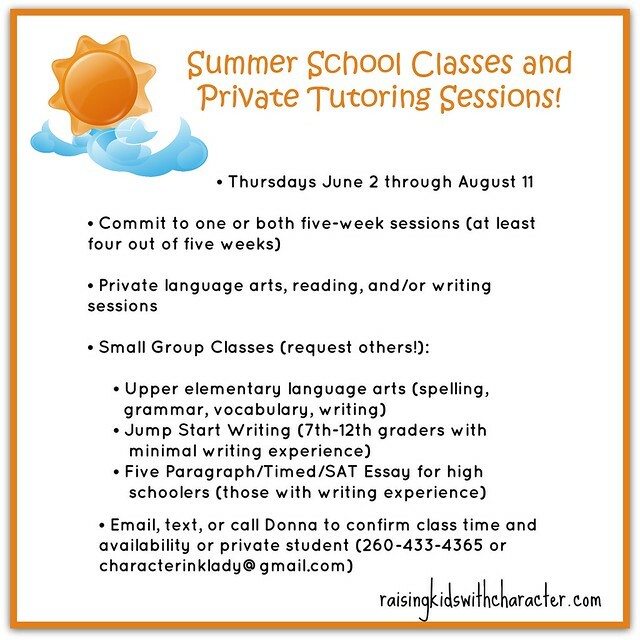 Character Ink Cottage Classes is offering summer school classes and private tutoring! Classes: May offer others if interest is there…contact us! Tentative Schedule: We are flexible with summer classes!